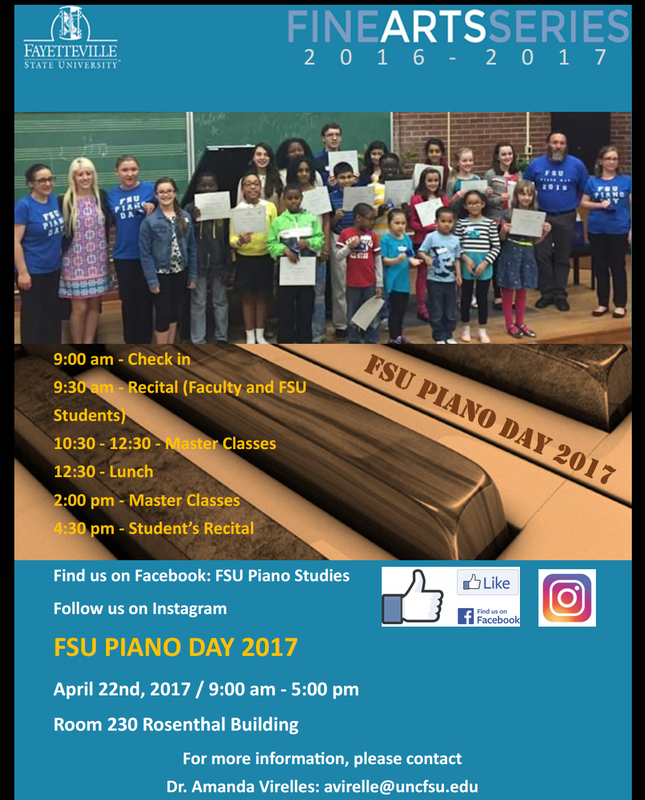 Fayetteville State University is hosting its fourth annual Piano Day on Saturday, April 22, 2017. This event is open to piano students of the greater Fayetteville area. The event will include a morning recital performed by the master class teachers and FSU faculty, masterclasses scheduled during the morning and afternoon, and will conclude with a student recital. Lunch will be provided. Interested parties should contact Dr. Amanda Virelles at avirelle@uncfsu.edu. More information can also be found at their website, http://fsuarts.com/event/4th-annual-fsu-piano-day/.